Shop online for over 300 tomy model trains at discounts up to 26%. 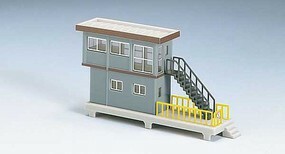 Buildings is the most popular of the 14 tomy model trains categories, then Roadway, and Figures. This is the N Scale Track Cleaning Car (Blue) from TomyTec Co. 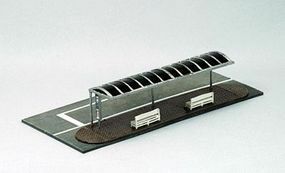 This is the City Bus Stop on platform in N-Scale from TomyTec Co. 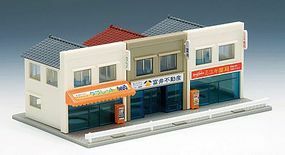 This is the Street Shops Kit in N scale from TomyTec Co. Includes 3 Different Storefronts. This is the N Scale Track Cleaning Car - Ready to Run - Clear Body from TomyTec Co. This is the N Scale Highway Guardrail Kit from TomyTec Co. This is the N Scale Barge with Tarp Cover Kit from TomyTec. This is the 1st Congregational Church Kit in N-Scale from TomyTec Co. This is the Black Cows pkg(6) in N-Scale from TomyTec Co. This is the 2 pack of N Scale Semi Trucks from TomyTec. This is the Soccer Team A (Yellow) in N-Scale from TomyTec Co. This is the N Scale figure set of Standing People (12) from TomyTec Co.
Curved Chord Through Truss Bridge w/2 Piers - Fine Double Track -- Assembled (green) from TomyTec Co. This is the N Scale Community Bank & Trust Kit from TomyTec Co. This is the Baseball Team B (Blue) in N-Scale from TomyTec Co. This is the 2 pack of N Scale Modern Ready-Built Home Kits from TomyTec.